Facebook has confirmed its major emoji update for 2018 is now available for the majority of Facebook users. 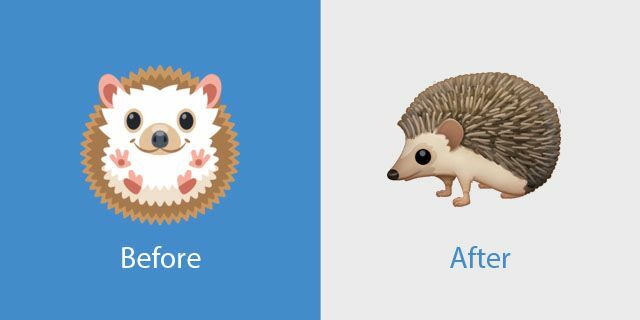 The release, of which some elements began to be surface in June, features 157 new emojis as well as a glossy design overhaul. With the rollout now in its final weeks, here's what's new and changed. Above: New smileys available as part of Facebook's latest emoji update. As we noted earlier this year, this update marks the second major redesign of Facebook's core emoji set in just under two years. The last major redesign was completed in February of 2017, with a similarly prolonged preview / roll-out period. 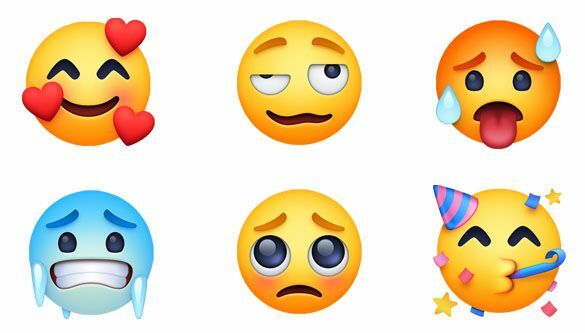 All six new smiley emojis from Emoji 11.0 are present: 🥰 Smiling Face With 3 Hearts, 🥴 Woozy Face, 🥵 Hot Face, 🥶 Cold Face, 🥺 Pleading Face and 🥳 Partying Face. 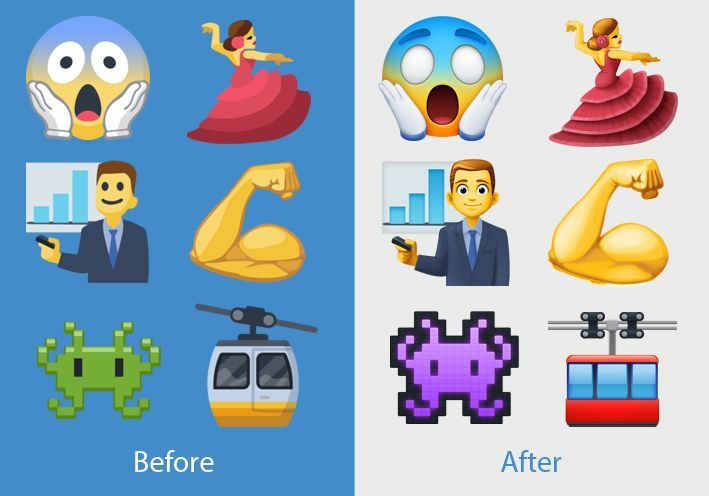 Shown below is a selection of emojis which have seen significant changes in this release. These designs are now glossy with stronger gradients, and an almost 3D-like design. This is a change in aesthetic from earlier designs, and one that echoes that trends seen in the Apple and WhatsApp design sets in recent years. 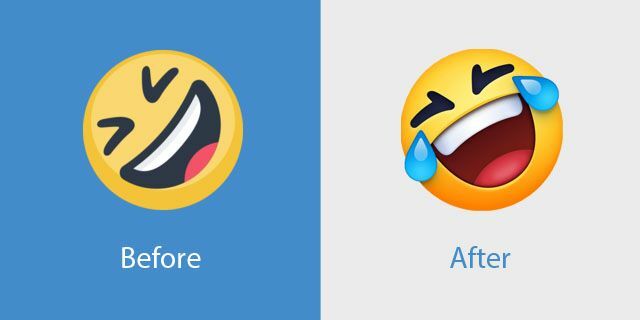 Many emojis have also been given additional details compared to the relatively simple designs in place before. 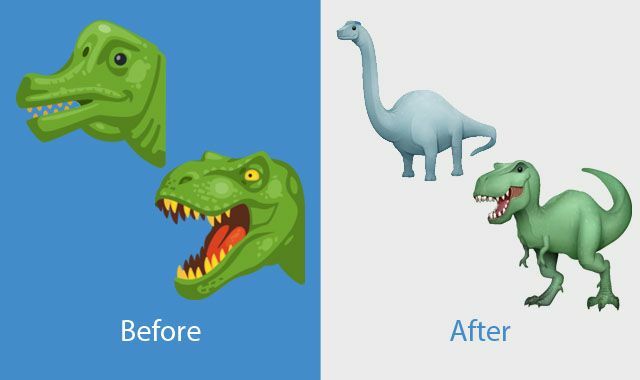 Above: A comparison of select emoji designs between the Facebook 2.2.1 emoji update and the Facebook 3.0 emoji update. 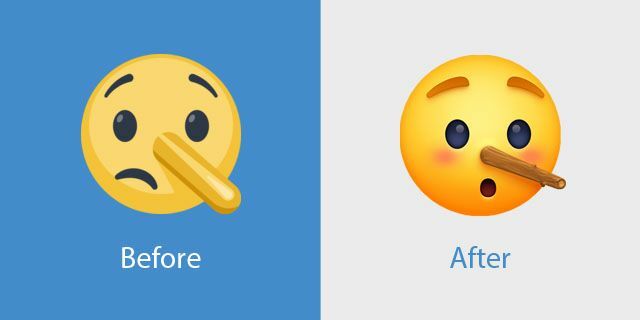 This redesign is also the first to occur following the announced discontinuation of Facebook Messenger's unique emoji design set in October 2017. Above: The journey of 💩 Pile of Poo on Android devices across Facebook and Facebook Messenger over the last number of years. Every new emoji from Emoji 11.0 is supported in this update, with these including bald people, redheads, a receipt, mango, and more. Above: A selection of new Emoji 11.0 emoji premiering on Facebook with this update. 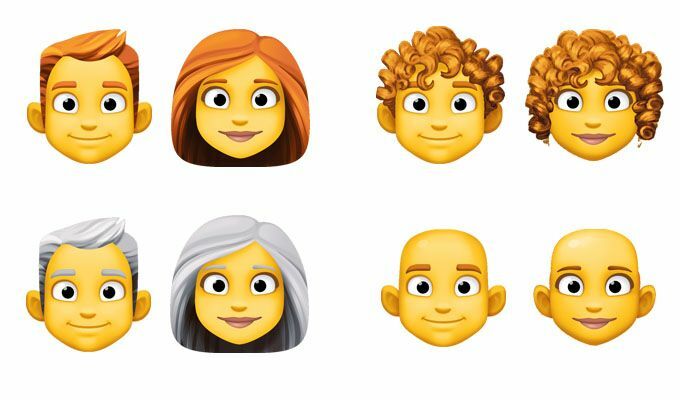 Four new hair style emojis for men and women, including the long-requested 👨‍🦰 Red Haired Man and 👩‍🦰 Red Haired Woman are part of this release. Note that these hair styles appear as their own individual emoji designs based on 👨 Man and 👩 Woman. There are not (presently) other RGI hair colour sequences for any other person emoji, which is consistent with the Emoji 11.0 standard released earlier this year. Above: Facebook's designs for the four new hair style emoji. Each support the five Fitzpatrick Scale skin tone modifiers. In the food and drink category, six new emojis have been added, including one of the more controversial newcomers, the 🥯 Bagel. Facebook's designers may have heeded the outcry of Apple users, depicting a fresh-looking bagel with a cream cheese filling in this release. Above: New entries in the food and drink category in the Facebook 3.0 emoji update. 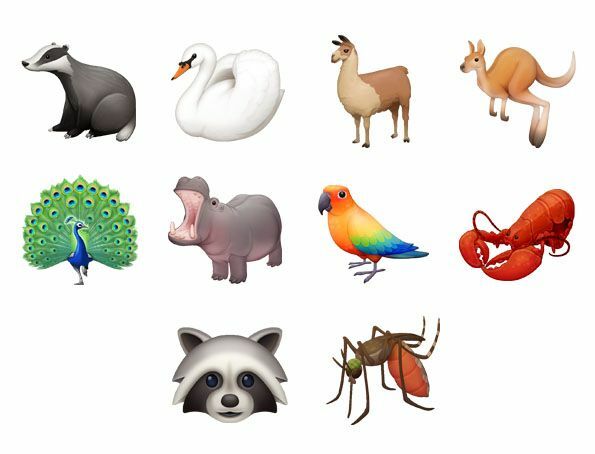 Facebook 3.0 features the ten new animal emojis from Emoji 11.0, including 🦘 Kangaroo and 🦚 Peacock. 🦡 Badger and 🦛 Hippopotamus display the full creature and not just the head: now the prevalent design choice, despite Google choosing to display just the animals' heads. Above: Ten new animal emojis now available on Facebook. 🦸 Superhero and 🦹 Supervillain are also new to Facebook in this update. When a gender is not specified, 🦸 Superhero and 🦹 Supervillain both appear as 🦸‍♂️ Man Superhero and 🦹‍♂️ Man Supervillain respectively - something that varies by platform. All support skin tone modifiers. Above: Woman and Man variants of 🦸 Superhero and 🦹 Supervillain. 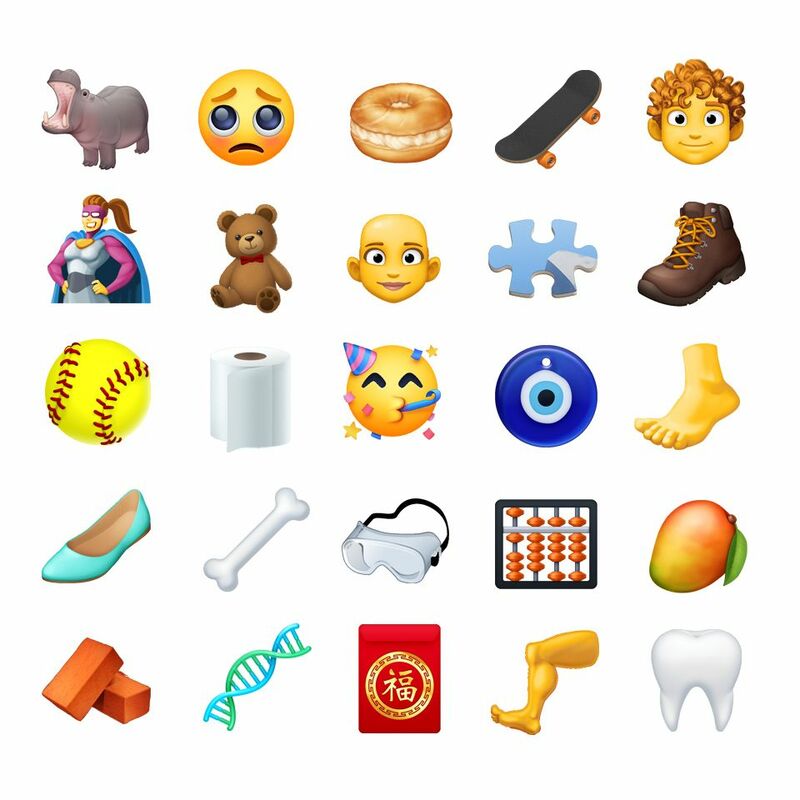 Additional new Emoji 11.0 emojis include multiple new objects relating to science, sport and household items. All new emojis added to Facebook 3.0 can be viewed here. 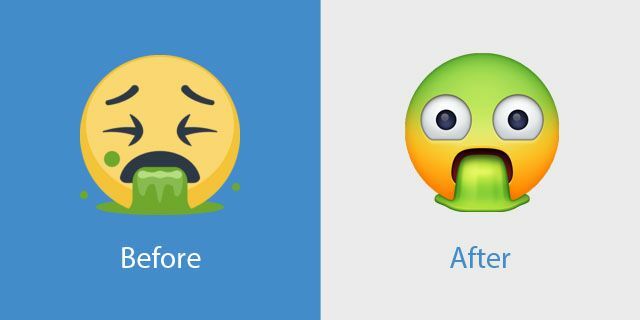 This update features a comprehensive redesign of the entire Facebook emoji set: almost all emojis have experienced at least some form of modification. There are several instances where designs have been changed to more closely match the designs of other vendors. A handful of lesser-used emojis feature new designs which deviate from the emergent norms. 🤣 Rolling on the Floor Laughing now shows two tears of laughter. 🤥 Lying Face now has its nose made of wood, further echoing the wooden puppet Pinocchio. 🤮 Face Vomiting now has an intense glare instead of closed eyes. 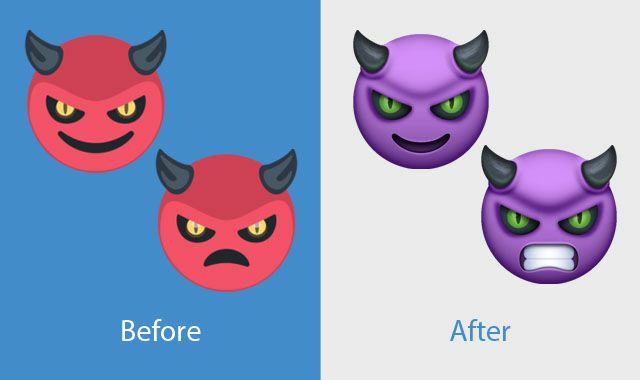 😈 Smiling Face With Horns and 👿 Angry Face With Horns now appear purple, as is the case across other major vendors. 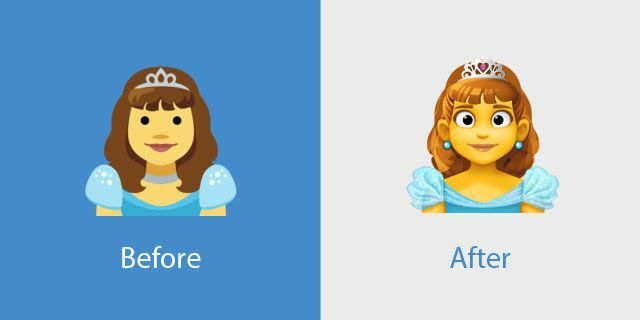 👸 Princess now wears earrings and has more detail in the tiara, dress and overall shading. Almost all of the people and the profession emoji have had their facial features and other details augmented. See 🤷‍♂️ Man Shrugging, 🤰 Pregnant Woman, 👮‍♀️ Woman Police Officer and 🤾‍♂️ Man Playing Handball as examples below. 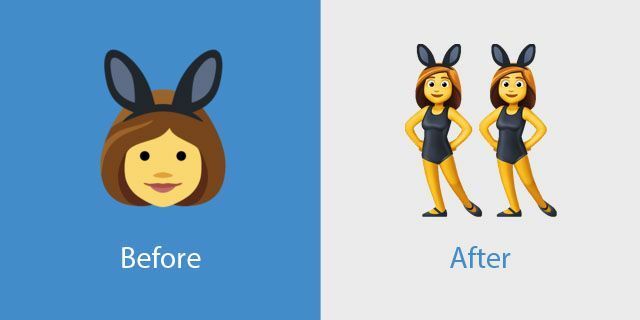 👯 People With Bunny Ears now shows two people instead of a single person wearing bunny ears. This is in-keeping with other how other vendors display this emoji. 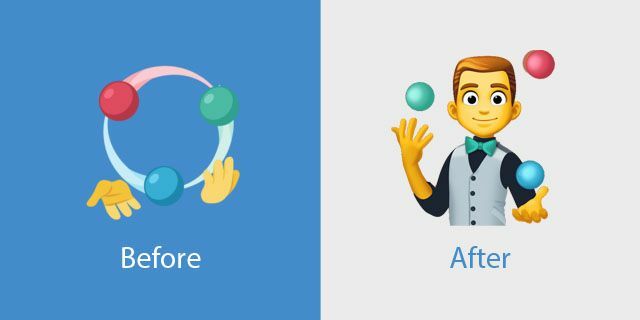 🤹 Person Juggling now shows a person juggling instead of juggling hands. 💀 Skull has been given a jaw. 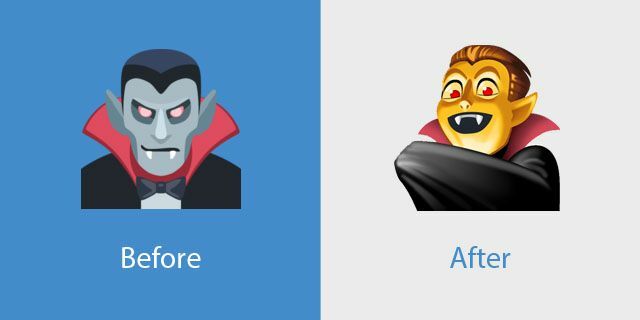 🧛 Vampire now bares teeth and has a default-yellow skin tone instead of gray. 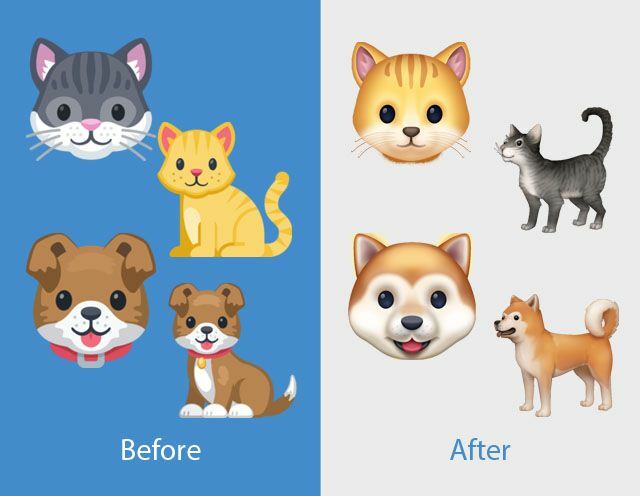 Both head and body versions of 🐈 Cat and 🐕 Dog have been re-designed. 🦔 Hedgehog is now standing on all-fours as opposed to lying on its back. 🦕 Sauropod and 🦖 T-Rex are now displayed as full-bodied creatures. 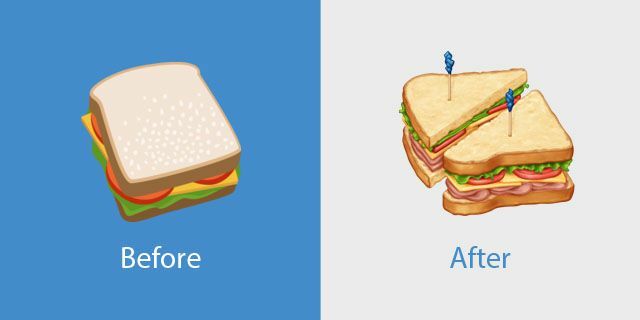 🥪 Sandwich now includes ham and has been cut in half. 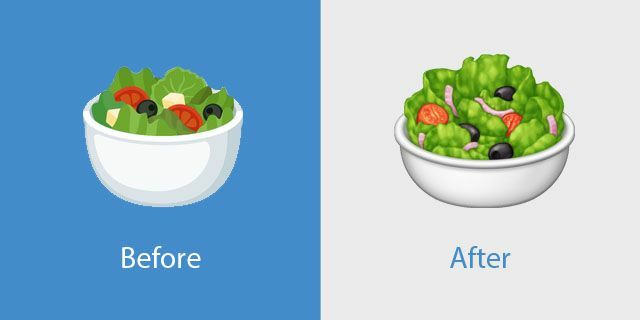 🥗 Green Salad is now a vegan green salad as the egg has been removed. 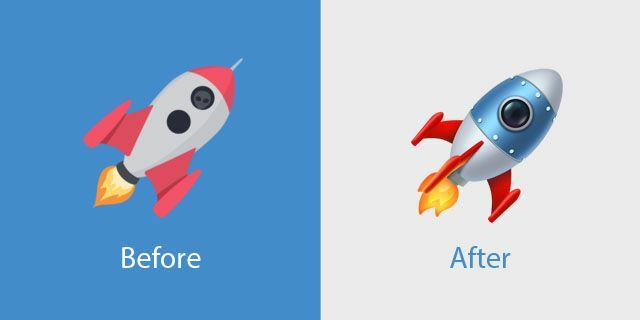 🚀 Rocket is now more detailed and no longer includes an alien creature inside. 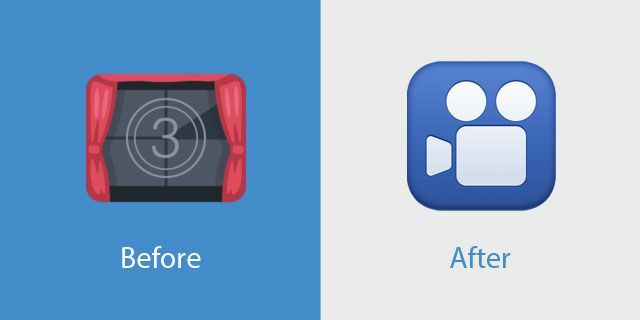 🎦 Cinema now shows as a film projector symbol as opposed to an actual theatre screen, as per other major vendors. 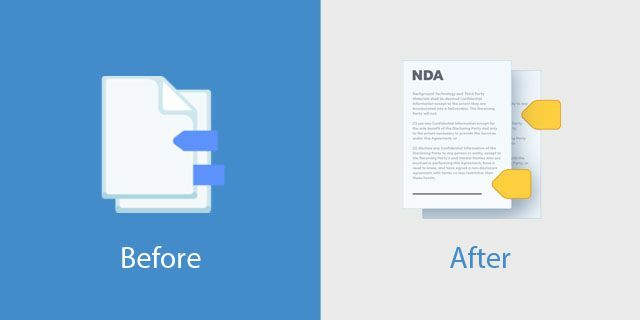 📑 Bookmark Tabs now displays text, specifically that of a Non-Disclosure Agreement. 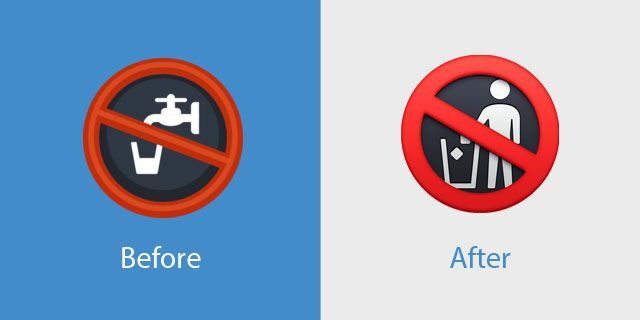 🚱 Non-Potable Water, in what appears to be a mix-up, has had its tap and glass replaced with a ban on placing litter in the trash. Flags have had their style changed and now feature a more realistic glossy waving flag instead of the flat style used previously. 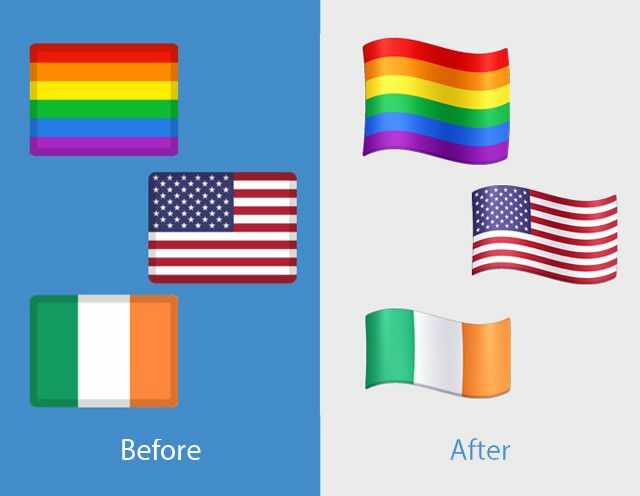 Shown below are 🏳️‍🌈 Rainbow Flag, 🇺🇸 Flag of the United States and 🇮🇪 Flag for Ireland as examples. 🧚 Fairy kept the same outline as the previous release, but with great detail and shading added. 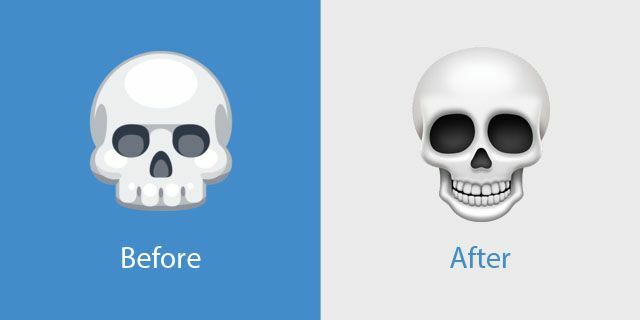 This type of change (same outline, new details) has been a common theme for a number of emojis in this redesign. Just about every emoji has been redesigned in this release but there is an exception when it comes to the 👪 Family variations. 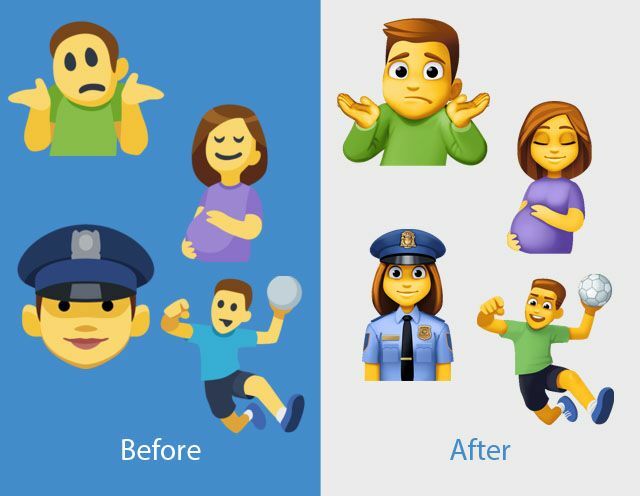 While the default ("non-human" yellow skin) versions of these family emojis have been updated with new detailed designs, the versions which permit skin tones did not see the same overhaul. See 👨‍👩‍👧‍👦 Family of Man, Woman, Girl, Boy as an example below. Facebook is one of the few vendors to support skin tones for emojis that include multiple people, and the use of the Fitzpatrick scale skin tone sequences with family emojis have not been given RGI status by the Unicode Consortium, the organisation which selects and creates new emoji. As such, these more diverse family emojis aren't often found in common use, and likely won't be until or unless more platforms also adopt these sequences. When these emojis are viewed on platforms which don't support the sequences, the composite people within the emoji sequence display instead. These emojis are drafted to include some level of skin tone support in 2019. Given this, it's possible they may return in a future update. This update has been rolling out to users in various testing phases since June 2018. Facebook has confirmed that rollout has been ongoing, and now all users should have this update, or receive it in the coming weeks. 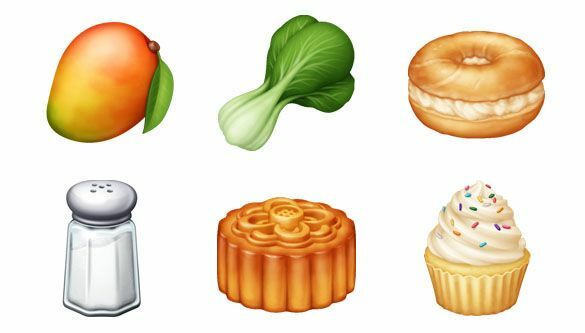 On iOS, Facebook chooses to use native (Apple) emoji support, so iOS users will not have experienced any further change since updating to iOS 12.1 in October. Keith Broni is a Senior Emoji Reviewer at Emojipedia; documenting changes within each emoji set from major companies.